FFAF Day 28: All together now, "A, B. C. D, E, F, G..."
I want to thank everyone for the great response I've had to my February's Fabulous Alphabet Fun -- it's been a blast. So for the month's grand finale, we needed to use ALL the letters of the alphabet! Why not write love messages in this little journal or even fill it with reasons you love the person or favorite things you've done together! Using some of our fun "In Colors", this book is bright and cheerful, and will make your loved one's day when they receive it. I'll also take this time to officially welcome 2 more stampers to the "Canadians, INK!" family: Dianne & Donna. I'm so glad that you both decided to join us -- get ready to have some fun! Also, one final reminder to everyone that TODAY is the *final* day for my awesome 48 sheets of free cardstock promotion. Be sure to get those orders in to me no later than tonight, so that you too can get some delicious Stampin' Up! paper to play with. FFAF Day 27: We're not quite done yet! We're almost at the end of the month, which means my February's Fabulous Alphabet Fun is getting ready to wrap up. But I'm not quite done yet, just because I've run out of letters. For today, I'm going for the NUMBERS NOW! 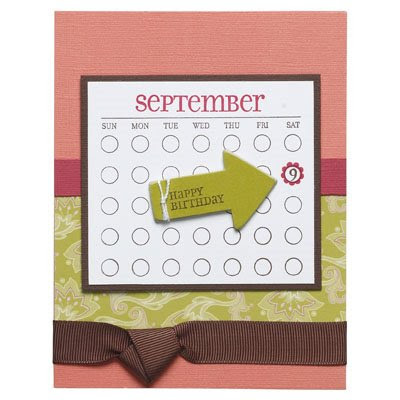 Create a fun and funky little birthday note that the recipient will treasure years down the road. 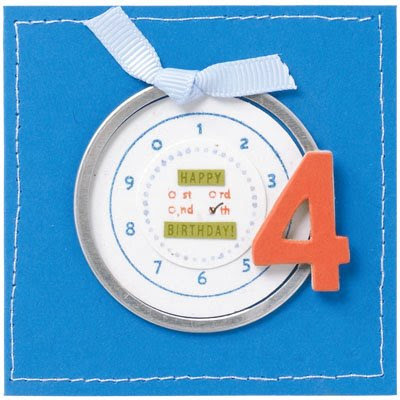 This note features bright colours, a metallic circle that a four-year-old will love, and intricate details that she'll appreciate years from now. Kids only turn five once, so celebrate with the special occasion. 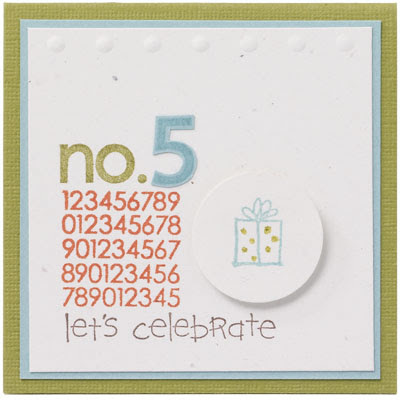 Whether you use this small notecard for a party invitation or a birthday card, you'll love how simple it is to make! Have you ever have one of those days where you're just so STINKIN' happy to have the friends that you do, because they help make your life that much better? Well, this has been one of those days so I'm taking the time to just send out some luv and a quick "MWAH" smooch to all my favourite peeps out there. 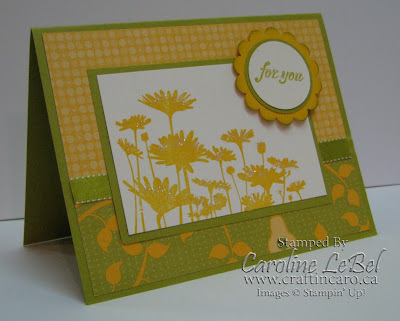 Back to stamping.... here are the 5 cards that we'll be making as part of tomorrow's class. 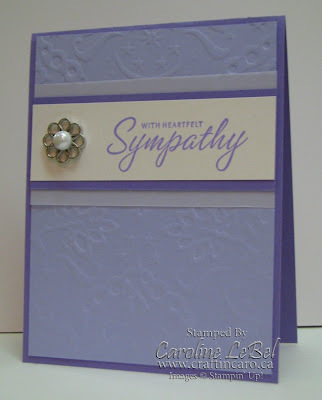 We have 2 sympathy cards, 1 "get well soon" and 2 "thinking of you" cards. Believe me, the last thing I ever feel like making are these kind of cards, but it's awfully handy to have them ready for when you need them. 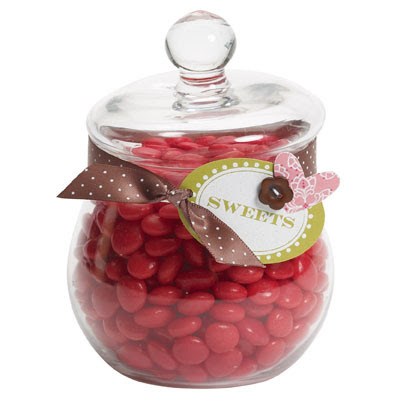 So we'll have a fun & cheerful time with LOTS of candy and music while we stamp, and we'll keep the gloomies away! If you are interested in attending, I only have 2 spots left for tomorrow evening's class or you can come on Saturday afternoon instead -- just let me know. FFAF Day 26: The letter "Z" is for Zoofari! Before I finish off the alphabet with today's post, I just wanted to give a big shout out to Velarie, the latest stamper to join the Canadians, INK! "family". I'm so very glad that you're now a part of the team and coming with us to the London Regionals event next month -- it's going to be a BLAST! To anyone else thinking of purchasing the Starter Kit while it's on sale, there's still time...why not take a peek here to learn more and then let me know if you have any additional questions. And on to the stamping fun! Today is Day 26 of February's Fabulous Alphabet Fun, and we've finally reached the end with the letter Z.
I don't want to bring you any ZZZZZZZZ's though for today's letter, so I picked the "Zoofari" set to showcase. It evens has a zebra, so I think I get double bonus Z points for that. The line-art outlines of the cheery beasts of this set are ideal for watercoloring, and their smiling faces are sure to brighten up your projects. 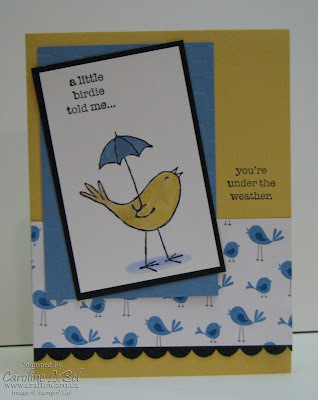 You can do so much with these little animals, so here's a baby card example. 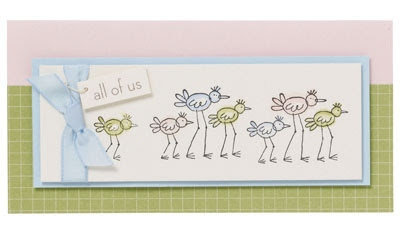 The colour scheme and bird images are just right for both boys and girls and the new mom will love knowing that you're all thinking of her and her little one. 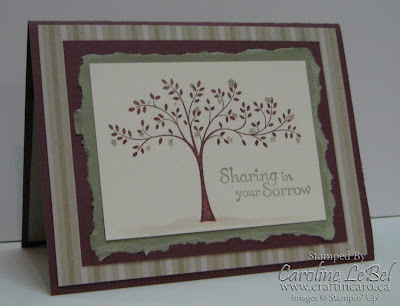 I'll be back later on this morning to share with you the 5 different cards we're making for tomorrow's "Thinking of You/Sympathy" card class. See you then! Here are 4 of the 5 cards we're doing today as part of the Birthday cards class. As always, we make 3 "adult" and 2 "kids" cards -- that way you have an assortment of cards at the ready to give out when you need to. 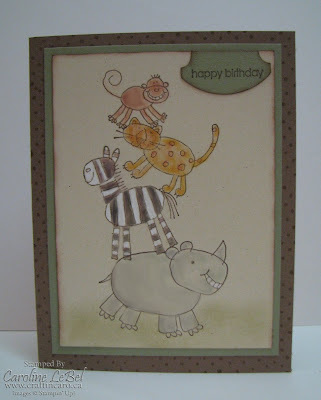 Card#3 - Zoofari -- cute little animals climbing on top of each other, DEFINITELY not an original idea of mine! You'll be seeing this stamp set again tomorrow as part of the February's Fabulous Alphabet Fun. 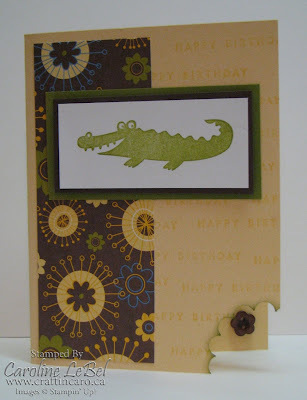 Card#4 - Wild About You where our alligator friend takes a big CHOMP out of the bottom corner of the card! FFAF Day 25: Y is for YOU! Today is Day Y of February's Fabulous Alphabet Fun, and we're continuing with the letter "Y" for YOU. 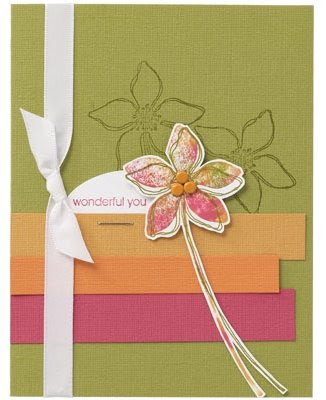 The star hardware and boho flowers on this card will make anyone feel important. Make it for a friend just to say "hello"! 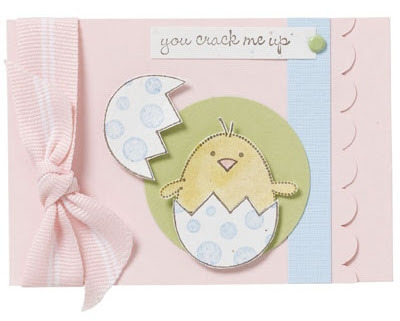 Easter greetings are a cinch when you start with a Scallop Note! 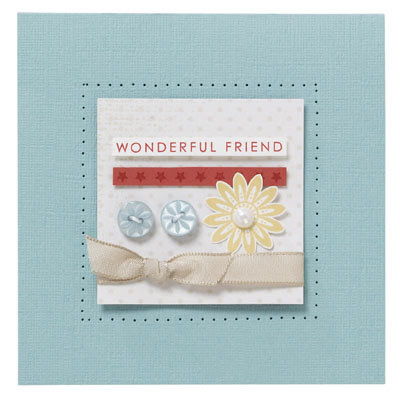 Add in a colorful image created using our exclusive Two-Step Stampin' technique, and you've got a cute card that would crack anyone up! Serena LOVES this set, and even themed her birthday party around it. 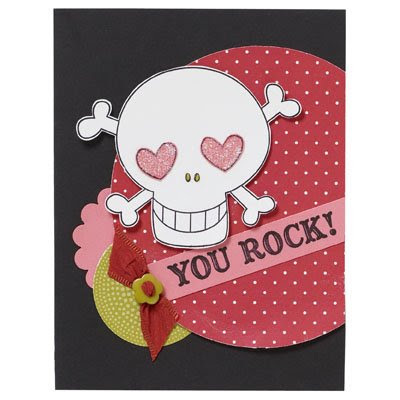 Tell your tween-ager that she rocks with a funky skull and lots of polka dot patterns. I'm especially enamored of the glittery heart eyes! 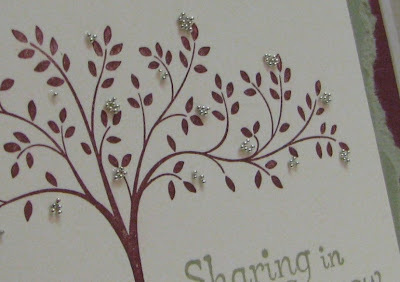 FFAF Day 23: W is for 3 WONDERFUL cards! Today is Day 23 of February's Fabulous Alphabet Fun, and we're continuing with the letter "W", which stands for WONDERFUL! 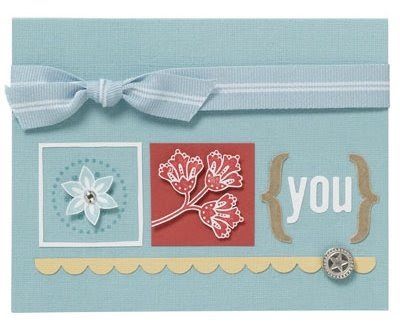 #1: The beautiful colour scheme and fun combination of patterns on this card will make any of your wonderful friends smile. #2 - No frou-frou here! 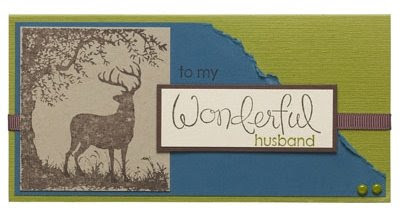 With its subtle embellishment and rich colors, this masculine card is a perfect way to let a husband know that he’s loved whether it’s for your anniversary, his birthday, or just because. If you are interested in making more Masculine cards for the guys in your life, be sure to check out my class on Wednesday March 11! #3 - Whether you give this card to say "I love you" on an anniversary or just to add a splash of color to a loved one's day, everyone likes to hear that someone thinks they're wonderful. Make this bold, tropical flower using the "Baby-wipe" technique -- it's bound to make them smile! 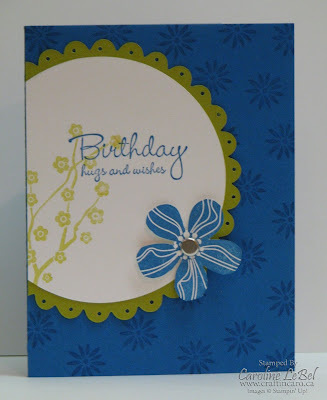 Upcoming classes this week will be the Birthday cards class on Wednesday, and the "Sympathy/Thinking of You" cards class on Friday. I'll try to start posting the pictures for those beginning later this afternoon! FFAF Day 22: V is Violin and Victor Hugo! Today is Day 22 of February's Fabulous Alphabet Fun, and we're continuing with the letter "V". Looking for a card to congratulate someone on an outstanding concert? 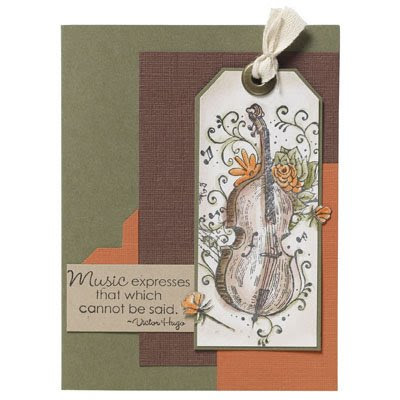 Let a handmade, watercoloured card help you express your pride in their musical talents. FFAF Day 21: U is for "Urban"
Today is Day 21 of February's Fabulous Alphabet Fun, and we're continuing with the letter "U" for "Urban"! 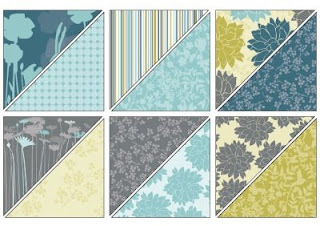 Right now, we have 2 fabulous sets of Urban Designer Series papers -- the Urban Garden and Urban Oasis assortments. 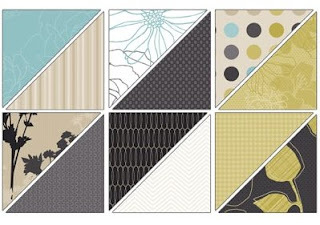 They work great with a variety of sets and colours, and the design scale of the 12x12 papers can be used for both cardmaking and scrapbooking alike. Try them out and tell me how you like them! Today is Day 20 of February's Fabulous Alphabet Fun, and we're continuing with the letter "T" for "Thanks", which feels very appropriate for today. 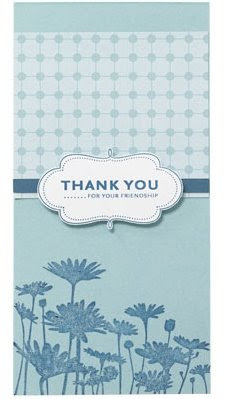 This particularily charming thank-you card is sure to make a lasting impression on friends and family alike. 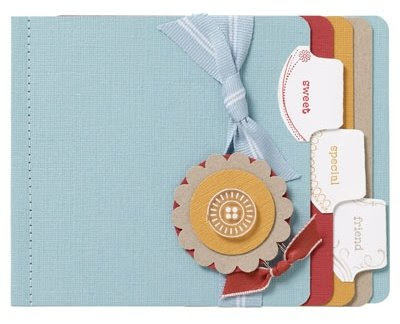 With its unique use of twill tape and simple beauty,you might even see it exhibited on a refrigerator or two! FFAF Day 19: S is for SWEET! 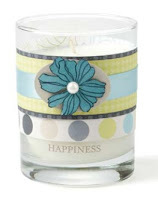 My mid-month mini newsletter was sent out to my Canadian subscriber list yesterday and included a super-cute candlewrap project from Stampin' Up!. If you haven't joined my list yet, you can do so anytime and I'll re-send it to you. My classes page has been updated all the way into JUNE! That's right -- the Virgo in me has me planning everything for all the way AFTER the CreativFestival, so go take a peek at what fun events I have planned for you and let me know which ones you want to come to. Speaking of the CreativFestival, I have a special free gift I'll be giving to all attendees who stop by my booth -- just bring this coupon to claim it! This week's events are all demonstrator-based: yesterday was the team's monthly drop in "Stamp & Share Day", where my gang can come play for the day and use my stamps, etc. Friday will be "Demo Information Chat" time, so anyone can pop by if they want to learn more about the Starter Kit, etc and Saturday is my team's Quarterly meeting! 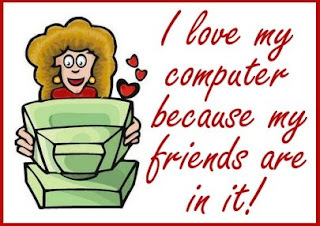 That's when I set up some fun projects for them to make & we get together for fun, fun, fun. If you want to join us to see what it's like, please email me for an RSVP. 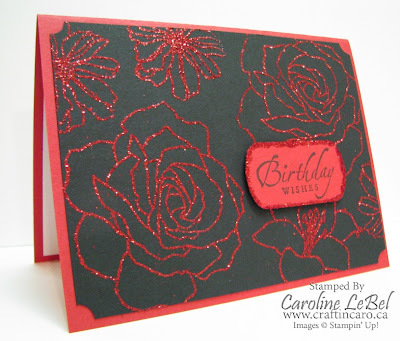 Next week's Birthday Cards and Sympathy/Thinking of You Cards classes are both filling up nicely -- I'll try to have the samples up for you by Monday at the latest so you can see what we're making. 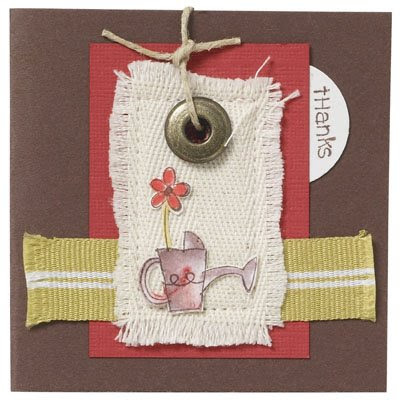 A quick welcome to Gayle from London for having joined "the family" yesterday -- I'm so glad you did! 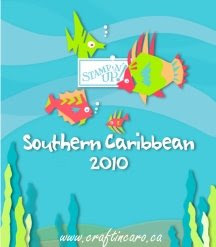 Last but not least, it was announced last night that Stampin' Up! is going to begin launching an ANNUAL catalogue starting July 1! There will still be exciting and fresh mini catalogues released throughout the year that will also include NEW hostess sets to choose from. Should be fun! Now let me return you to to our regularly scheduled February's Fabulous Alphabet Fun. 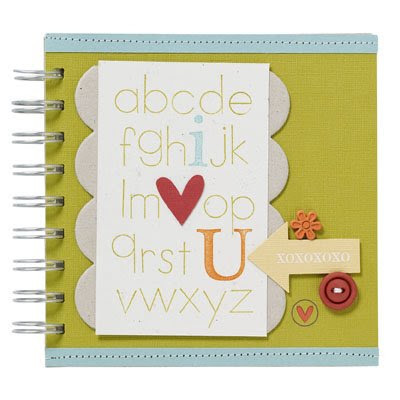 Today is all about the letter "S" for SWEET, just like all of you! 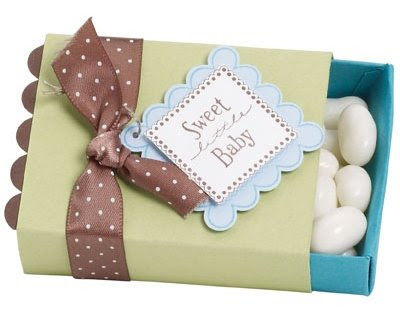 Here are 3 different kinds of sweet things -- a candy jar, a sweet booklet card for a special friend and a yummy "sweet baby" box of jelly beans.